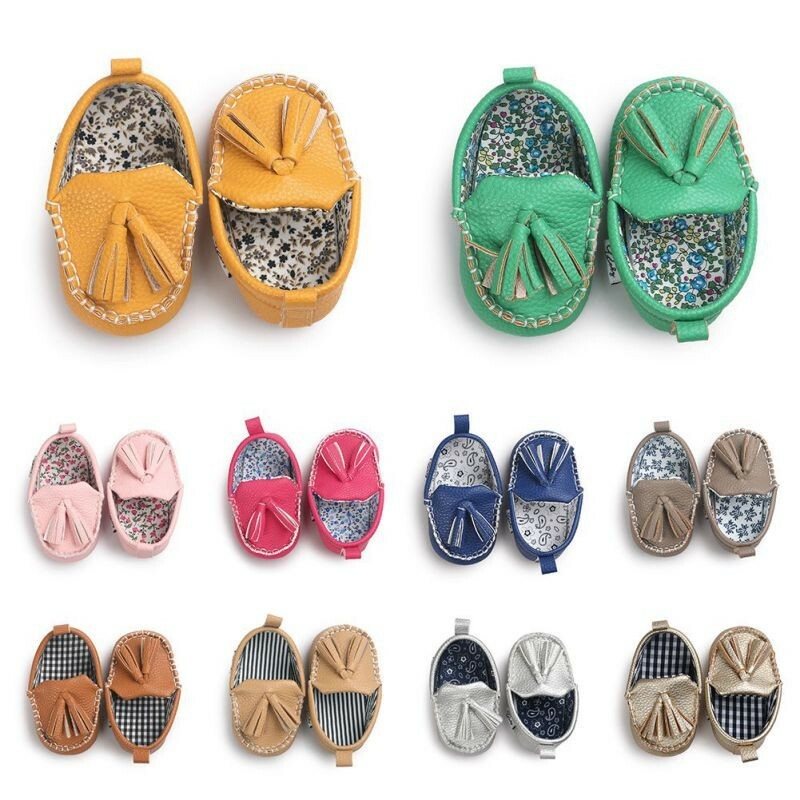 The classic moccasin that will never go out of style! Each pair is made of PU leather and features a beautiful fringe detail. Includes sturdy laces for a snug fit, so your little one can play to their heart’s content! Fur-lined options are also available for colder months. Soft soles intended for indoor use and light outdoor activity. They are cute but took awhile to receive them. The color was a lot lighter in person than what I had selected online, which had me a little disappointed. Otherwise, very cute. I like them , but they are not what they say they are. Not real leather!